Firework Professionals Ltd have been firing fireworks in Queenstown, Wanaka, Cromwell, Alexandra and all around Central Otago for many years now. We have two technicians based in Wanaka, and we work closely with local tech Bill Falcone in Queenstown. 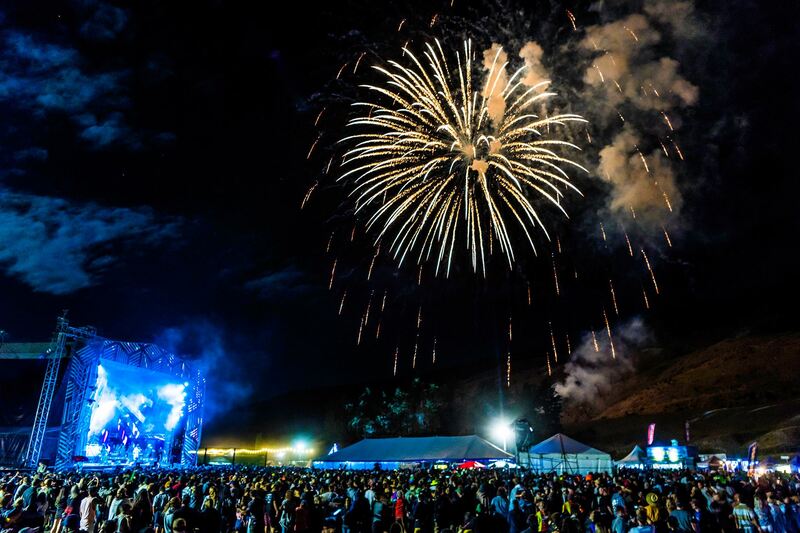 For the past two years, our crew have provided the fireworks for the Rhythm & Alps festival in Cardrona. 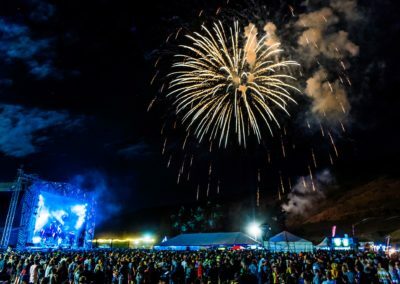 The “Queenstown Winter Festival” with its celebration of the opening of the New Zealand ski season has Firework Professionals Ltd providing the technology and fireworks for the local technician to mount a great show every year. 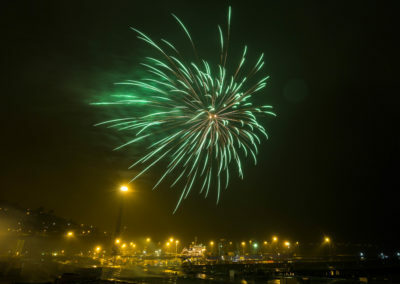 The show has become such a feature that the fireworks barge has its own special mooring, and a second fireworks barge spreads the fireworks to make a fantastic front against the backdrop of the Queenstown Gardens. FPL manufactured starshells have been a winning feature of the show. We use experienced, trained local people, as well our crew from head office during busy times with multiple events on. We at FPL have been happy to provide fireworks, equipment, and expertise for many events in the area, both large and small. Lake Wakatipu is a great fireworks venue. A special mooring has been added, so the fireworks barge and pontoon can be positioned separately to increase the frontal area of the shows. 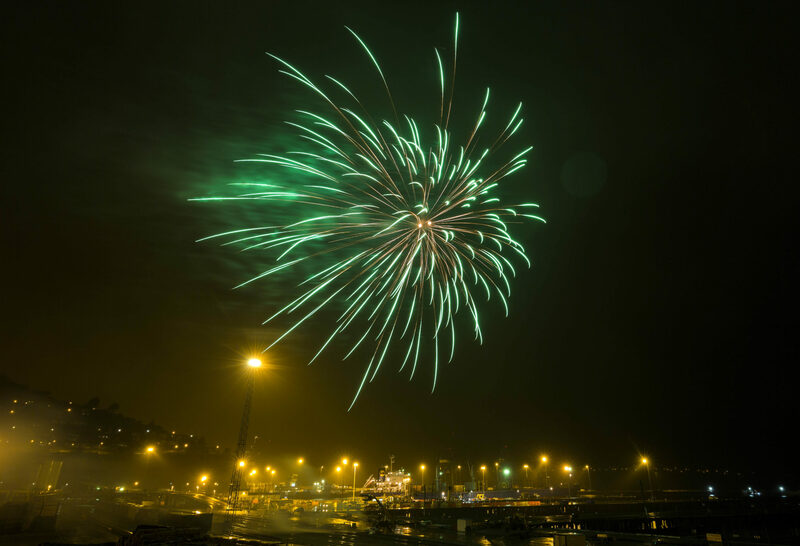 There is great access for the audience to see fireworks clearly, and the regional harbourmaster, Marty, does an excellent job keeping the waters safe and secure. 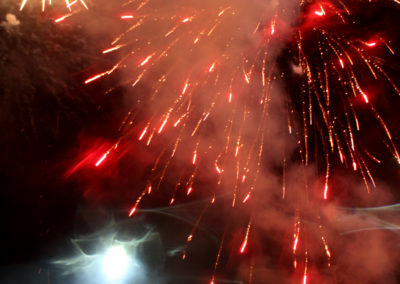 On the ski fields around Queenstown and Wanaka there have been some extraordinary firework shows such as the wedding of Henry van Asch where Henry and the groomsman came down the ski slopes trading great showers of sparks illuminating the whole ski field. Another extraordinary event was on the Snow Farm where a Korean film, Silmido was shot. 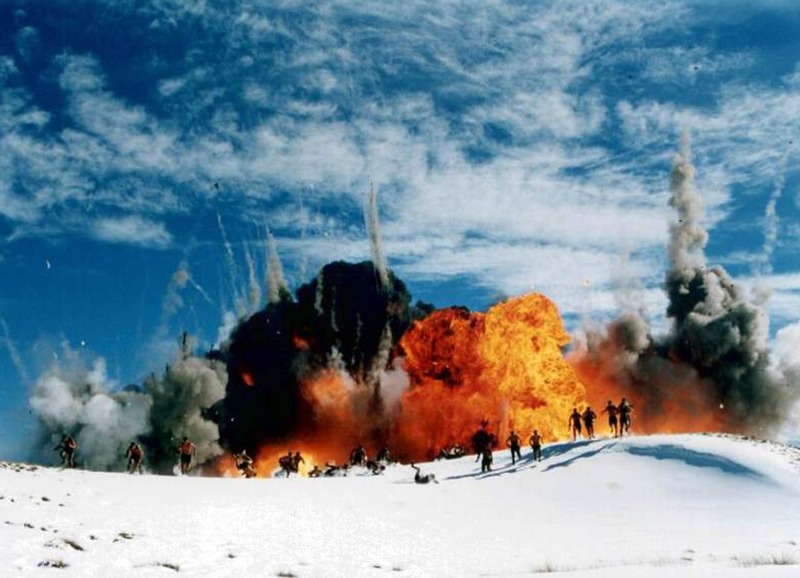 This has one of the largest action fronts of artillery bombardment ever seen in a movie shot in New Zealand. You can see more about this on our Special Effects page. If you are looking to add some extra power (or grace) to your next event, talk to us today! 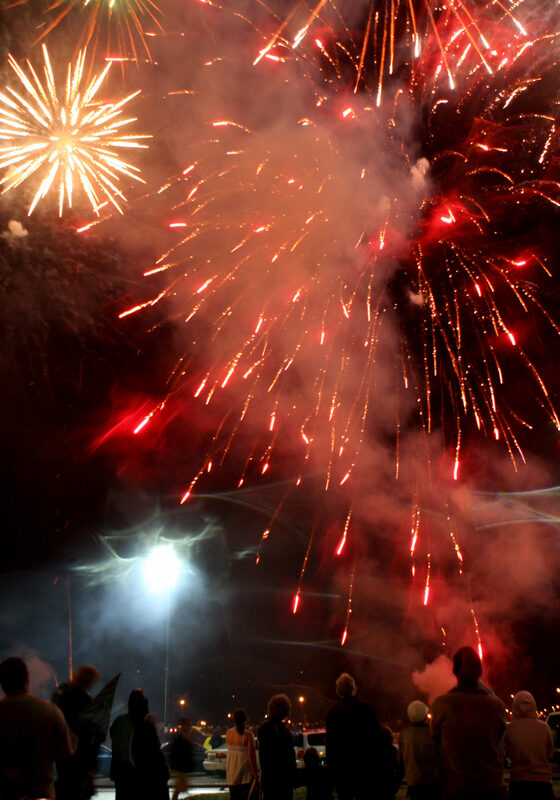 Or take a look though our gallery at our firework shows.